Ambitious Glinn. Reports to Dukat. Witnessed his commanding officer's triumphal retaking of Terok Nor. Oversees engineering operations aboard the station. 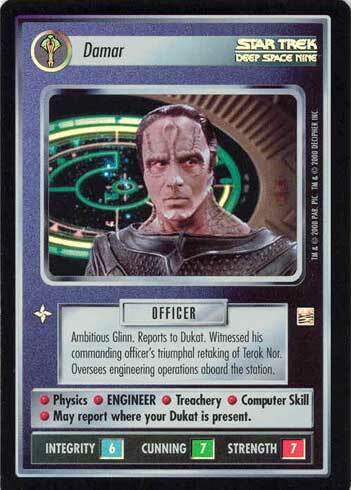 • Physics • ENGINEER • Treachery • Computer Skill • May report where your Dukat is present.